I accidentally set my trail camera to take a picture every 5 seconds yesterday so today I ended up with over 3,000 images. I deleted most of them but kept the series that showed the sunrise because it was pretty freaking awesome. I imported those images into video wave and am able to set their duration to .33 seconds each and play back the sunrise perfectly. When it changes from dark to light outside the images change from black and white infrared to color when I try to export them as high definition mpeg-2 1080i file all of the color images are rendered totally blacked out. You can skip to about 00:23 seconds into the video to start seeing what happens when the images switch from black and white to full color. Every time you see the frame go black.. that's a stunning color snippet of a sunrise. I am attaching one of those images. Roxio Game Capture HD Pro has videowave already included! 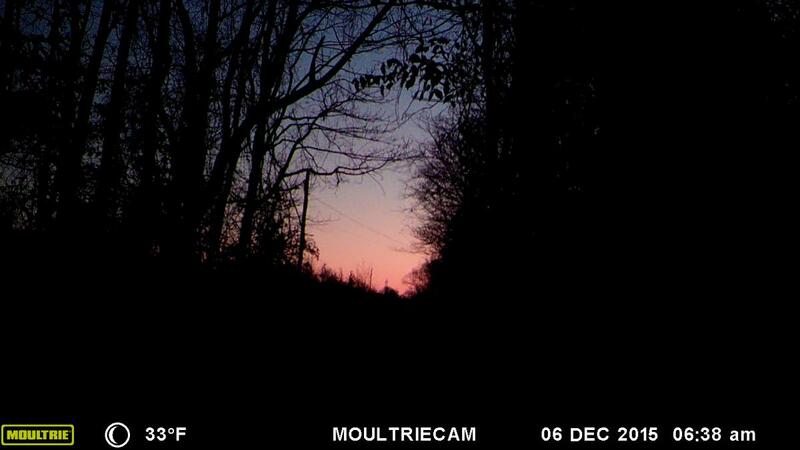 What quality are the pics from the trail cam? Have you tried outputting to other formats? What program do you have? If NXT why did you post in Roxio Game Capture HD Pro? Did you watch the Roxio tutorial on how to do Timelapse with Roxio Creator? Do a google search on "Timelapse with Roxio"
What info in about are you referring to? STUPID QUESTION you asked me, not sure why I expected helpful people to run this forum. How could I forget this is the INTERNET where bullying and being a general asshat is applauded. Create a shorter version mixed with both types of picture, maybe 1 minute long, and see what it does. Theresa, the questions asked aren't completely irrelevant. You have posted in the Game Capture forum, yet you tell us that you're running Creator NXT 4. Both programs include VideoWave, so knowing exactly what program you have will help us help you. cdanteek's question about the quality of your pictures is completely relevant because in most cases where users have had problem with images showing up blacked out has been resolved by changing the resolution of the pictures being put into VideoWave. If your trailcam takes very high resolution images, then reducing the resolution to the final output size of your video prior to importing them to Videowave, may make them render properly, it's one of those hit-and-miss bugs in Videowave. So, while some questions may come across as terse, and unhelpful, please put that aside. Maybe we can help you fix your problem.